This article appeared in the New Mexican on June 26, 2017. 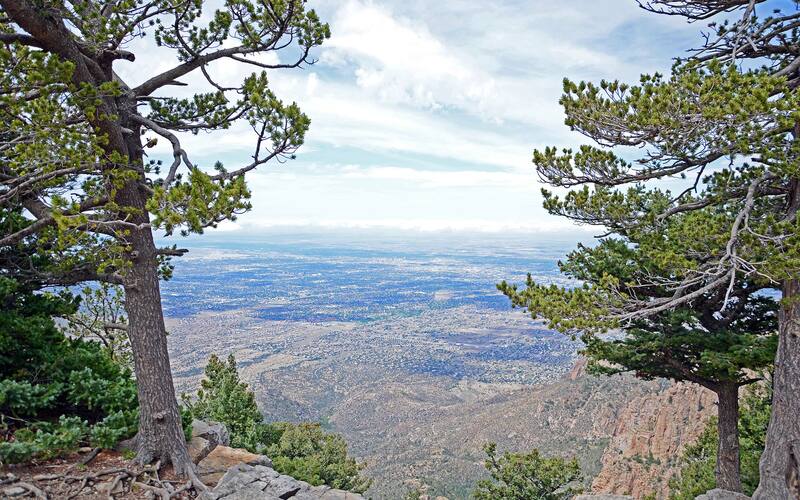 An article from the opposite perspective appeared in the Albuquerque Journal on June 30. Unlike Muska’s clear-eyed article below, Armas’ article (linked) is full of hope and goals, but little evidence that more money is the path to closing gaps in student achievement. However well-intentioned, the activists suing the state for failing “to meet its constitutionally mandated responsibility to provide all public-school students the programming and supports necessary to succeed” have a profound misunderstanding of government education’s ability to compensate for severe social pathologies. The key assumption behind Yazzie v. New Mexico and Martinez v. New Mexico, consolidated into one case and currently before Judge Sarah Singleton, ignores mountains of research. Clear-eyed policy analysts have long understood that greater subsidization of government schools generates little, if any, progress in student ability and achievement. In the early 1990s, researchers at the Educational Testing Service studied the connection between non-classroom factors and student achievement. They found that 91 percent of the difference among the performance of the states’ government schools could be explained by five factors, including the amount of time students spent watching television and the presence of two parents in the home. Closer to home, there is not a morsel of evidence that New Mexico spends an inadequate amount of tax dollars on K-12 schools. 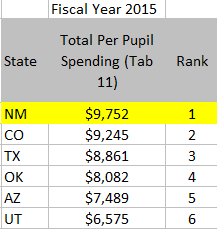 Census Bureau data show that the Land of Enchantment surpasses each of its five neighbors in per pupil expenditures on government schools. New Mexico spends a whopping 48 percent more than Utah, where students generally excel. From class-size reduction to expanding preschool, the state has embraced every trendy, expensive fad pushed by the education establishment, with pathetic results. What’s more, the “fairness” and “equalization” financing dreams of the educrat lobby have essentially been attained here — just a few states post a lower shares of school spending covered by local taxpayers. Lawsuits aren’t the answer to fighting family fragmentation and the chaos it spawns. Work is. Ron Haskins of the liberal Brookings Institution recommends a strategy of “increasing work and reducing welfare use” as the best tool to fight poverty. New Mexico labor bureaucrats’ recent finding that three-quarters of employers with at least one job opening are struggling to find hires — in a state with one of the worst “unemployment” rates in the nation — was irrefutable evidence of a dire problem: Too many of our fellow citizens prefer the dole to the dignity and pride of productive activity. When making “no judgments” is the rule, not much can be done to address the true cause of underperforming students — and real solutions aren’t explored. Seeking greater school spending through litigation is a dangerous distraction. Our state’s time and resources would be better spent on a discussion of the undeniable role that government plays in perpetuating life decisions that are damaging to individuals, families and society at large.